Otsego High School is grateful for a very generous donation from Zeeland's G.A. Richards group of two robots they can use for programming. 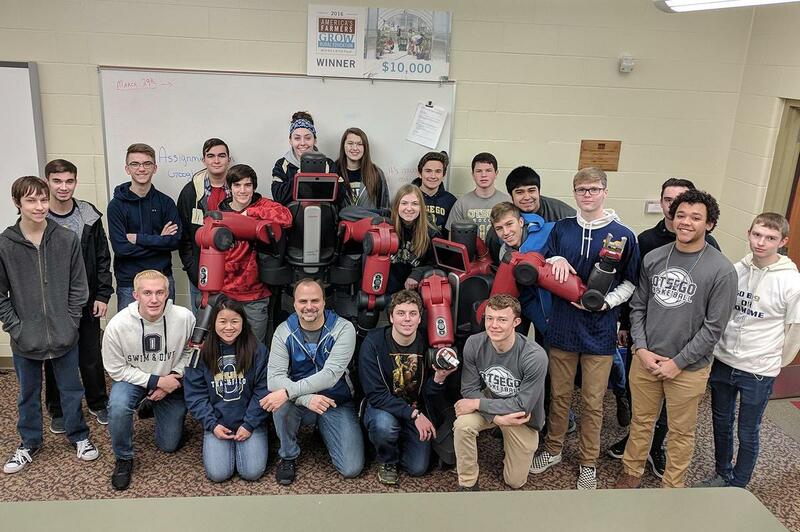 Hanging out in Mr. Miller's Computer Science classroom and Robotics classroom, are two red robots just donated to the school. Not seeing a need for them for the work they were doing in their factories, G.A. Richards Group in Zeeland, was looking for a way to donate them for students' education. Mr. Miller teaches Computer Science at OHS and is the lead mentor for the OHS FIRST Robotics team. He plans to use them for programming experience for both groups of students. 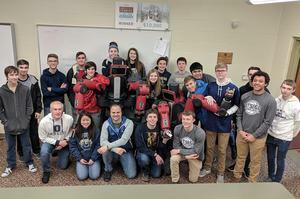 "This is an incredible opportunity for our students to have real-life, industry robots to get some hands-on programming practice. This gives them a glimpse of how automation is used in factories today and what they might see after they graduate." Thank you, G.A. Richards Group!